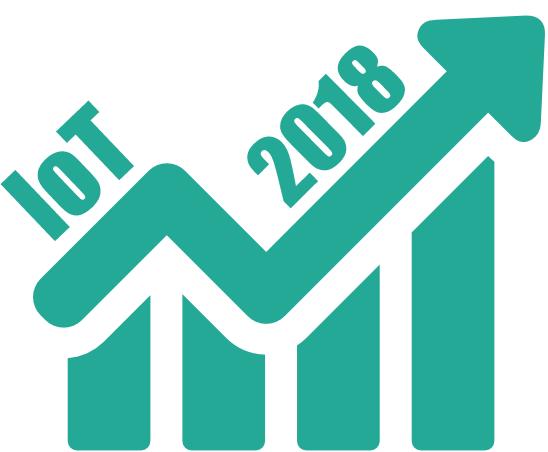 While we must admit that 2017 was a great year for both 1oT and IoT in general, we are eager to look to future and see what 2018 will bring to this amazing sector.These projections and expectations are what we are most excited about for the coming year. Let’s start with everybody’s favorite: numbers. HIS Markit predicted that by the end of 2017 there will be 20 Billion IoT devices connected worldwide. By the end of 2018, this number should be 23.14 Billion. That’s 11% growth in just a year. When we take the human population into consideration, there are going to be more than 2 new devices connected for every 5 people in this year alone. Let’s check into big companies that use IoT. Vodafone’s IoT Barometer Report 2017/2018 stated that the percentage of companies with more than 50,000 connected devices has doubled in the last twelve months and the trend is expected to continue for the upcoming years. These adopters have high expectations for 2018-2022: 79% of them think that IoT will have an enormous impact on the whole economy. Investment and Industry-wise, the top three spenders and adopters are Manufacturing, Transportation and Utilities. While investments into IoT were around 800 billion dollars, it’s expected to grow roughly 16,7% every year until 2021. But, these are just general numbers and don’t effect any IoT device makers in their decision making and day-to-day life. Let’s find out what’s likely going to happen in the industry in 2018. Artificial Intelligence and advanced analytics. More and more IoT projects are becoming business projects that include IoT, cloud, analytics and artificial intelligence that tie it all together. While AI is still quite a buzzword, we are seeing more and more Industrial and consumer devices using it. 2018 will be big for AI and IoT! Low power Wide-Area Network or as most people know: LPWAN. As more sensor technologies are coming out and their reach is getting wider, it also means success for LPWAN. 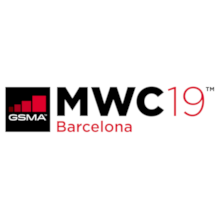 While NarrowBand IoT and CAT-M1 modules and selected devices using them started to come out in late 2017, this year we will see them around much more. Unfortunately, they’re both region based: with NB IoT in Europe and CAT-M1 in North America, which will be a challenge for companies manufacturing devices for both markets. Blockchain. While most people associate Blockchain with Bitcoin or perhaps other cryptocurrencies, it’s much more than that. There are three key challenges for Blockchain and IoT: Security, Operational challenges and Legal and compliance issues. Blockchain offers new ways to automate business processes between partners without building up an expensive centralized IT infrastructure. To sum up, Blockchain in IoT should build more trust between parties and devices, reduce costs by removing overhead associated with middlemen, and accelerate transactions by reducing settlement time from days to instantly. IBM already started to roll out Blockchain solution for Watson IoT platform users and, it’s safe to say, they’ll not be the only ones in 2018. End-to-end solutions. For years, there has been three main points to every IoT solution: a device, a platform, and a connectivity provider. While this won’t change for a long time, we will see more ecosystems and specialist firms. Having a scalable, plug-and-play solution gives you a huge competitive advantage in the IoT sector as finding suitable software for an IoT device is rather difficult without fixed standards. More and more IoT hardware companies will build their own software and get their devices connected globally by 1oT. Commercializing IoT data. IoT devices generate a lot of data and it is a pity if you don’t share that valuable data with other relevant parties. 45% of data and analytics decision makers at US enterprises commercialize their data, but only 35% of those in France and 38% in Germany do so. As the European Commission issues guidelines to encourage it, we’ll see a spark in the data economy in 2018. Fragmentation. As there are more and more as-a-Service programs and solutions popping up, there are going to be more compatibility issues. As there aren’t really any fixed standards for IoT software, many devices simply won’t work with the software that people and companies are intending to use and vice versa. Security. Unfortunately, all this fragmentation leads to security concerns. The more different networks, devices, and less fixed standards and regulations there are, the higher the possibility that some of them might get attacked and their data leaked. Just last year there was a huge scandal when 2.2 million voice recordings were leaked from a kid’s toys. As the IoT is growing fast, it’s a threat that we should look out for all the time. This is where Blockchain might come in and increase security. While not conclusive, this blogpost should give a good overview of the biggest shifts in the IoT industry for the upcoming twelve months. It’ll be interesting to come back to this blogpost in a year and see how right (or wrong) we were.